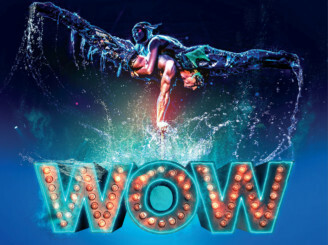 WOW, a production featuring 30 acrobats, aerialists, dancers and performing artists, will land in Dubai for a six-week run starting on February 11 and ending on March 25. The global spectacle will take place at The Rotunda, a new entertainment destination within Caesars Palace Bluewaters Dubai. At 90 minutes long, the family-friendly show features multimedia, 3D projections, holograms and gravity-defying stunts. It debuted in North America in Las Vegas in 2017, and has been seen by more than two million people worldwide. Tickets, available online, start from Dh100.